When it’s drizzly and cold outside, nothing sounds better than something yummy cooking in the crock-pot! Don’t you think?! 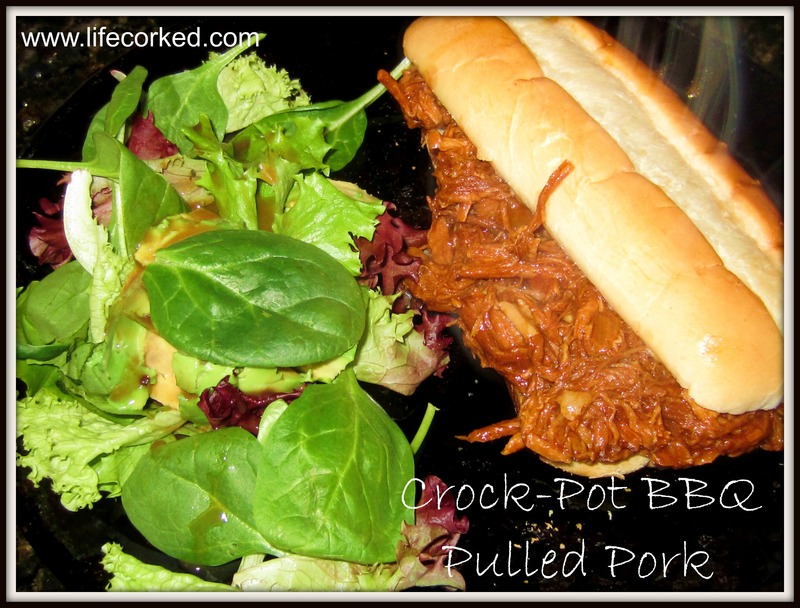 One of my favorite dishes to make in the crock-pot is bbq pulled pork – and it smells SO good when it’s cooking! It’s also great for leftovers and freezing for additional meals. All in all, it’s pretty much the perfect dish! Add 1 cup of water to bottom of crock-pot. Add pork roast, bbq sauce and garlic cloves. Cover and cook on high for 4 hours. Add onion and bell pepper. Continue to keep covered and cook on low for 6 hours. An hour before it’s finished uncover and take a large fork and shred pork. Cover and finish cooking. Serve on rolls or buns.